MANUFACTURER AND RETAILER OF DETAILED RESIN AND PEWTER KITS AND PARTS FOR YOUR MODELING NEEDS! 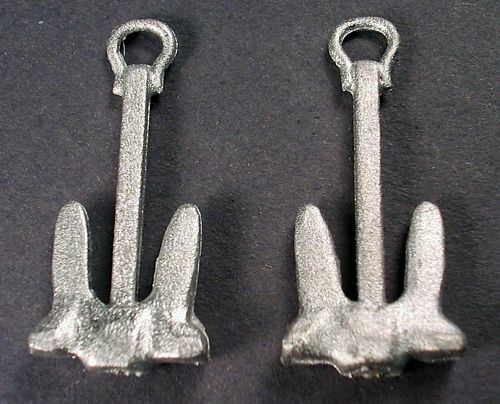 Be advised that these are very small anchors. 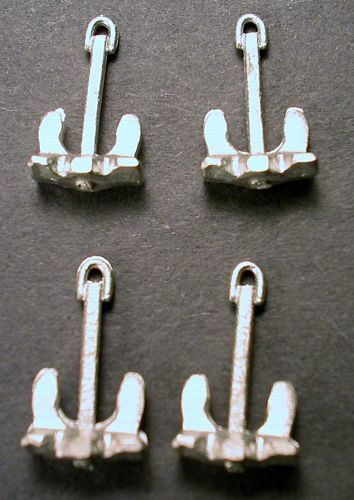 If you are modeling in HO scale and want something to fit anything larger than a small fishing boat, order the O scale anchors. Both scales are very nice looking, but the HO ones are just dinky, which I wish I'd known prior to ordering. The O scale ones will do for any sort of larger HO scale cargo vessel. I used mine on a small (16" in length) coastal tanker. Copyright Frenchman River Model Works. All Rights Reserved. by 3DCart eCommerce Solutions.